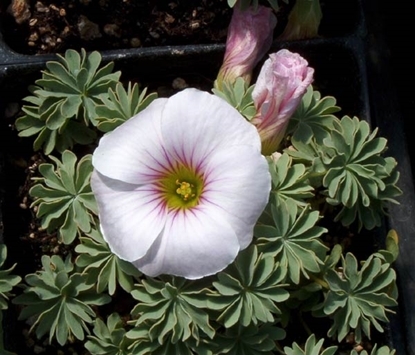 A much underused and unknown native of the Alps, growing along with trumpet gentians in open meadows. 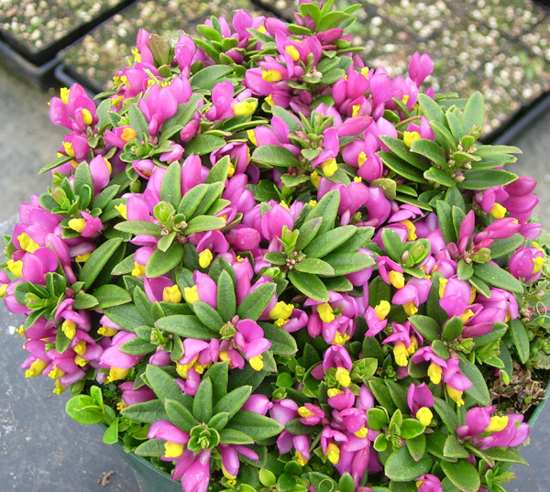 The pea-like flowers are composed of bright yellow lips and magenta wings. 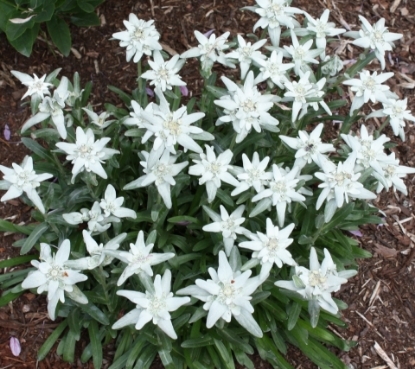 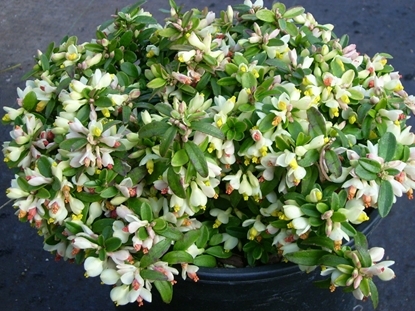 Grows as a low, slow spreading shrub with leathery, evergreen foliage, which is much like boxwood except narrower and pointy. 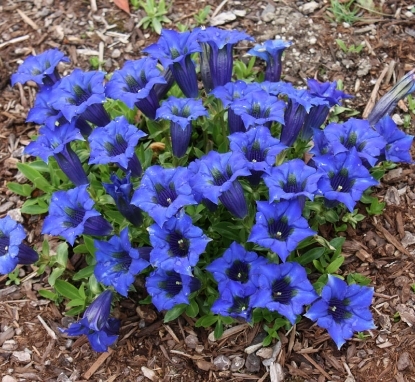 Likes the same conditions as trumpet gentians; full sun to light shade in well drained soil. 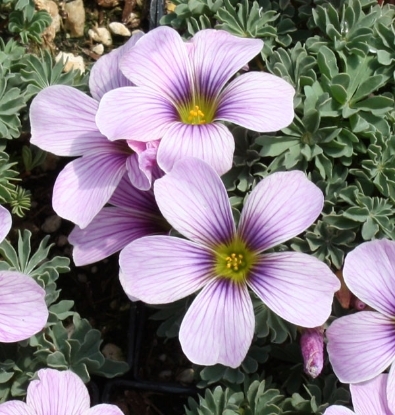 Drought tolerant once established but does like summer moisture.